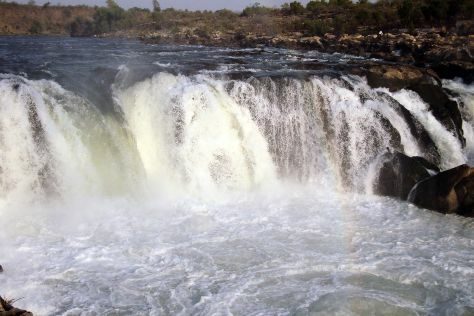 To see more things to do, traveler tips, ratings, and tourist information, you can read our Jabalpur day trip planner . Raipur to Jabalpur is an approximately 8-hour car ride. Traveling from Raipur in October, plan for little chillier nights in Jabalpur, with lows around 24°C. Wrap up your sightseeing on the 18th (Thu) to allow time to travel to Pachmarhi. Kick off your visit on the 19th (Fri): explore the fascinating underground world of Pandav Caves, then take in the dramatic scenery at Bee Falls, then take in the dramatic natural features at Dhoopgarh, and finally get great views at RAJENDRA GIRI. Get ready for a full day of sightseeing on the 20th (Sat): look for all kinds of wild species at Reechgarh and then explore the fascinating underground world of Jata Shankar Mandir. To see other places to visit, traveler tips, maps, and other tourist information, refer to the Pachmarhi trip planner . You can drive from Jabalpur to Pachmarhi in 6 hours. Wrap up your sightseeing on the 20th (Sat) to allow time to travel back home.